Let's Do Some More Digital Signal Processing - Infinite Impulse Response (IIR) Filters. In this blog I will look at how to interface DSP functions (e.g. 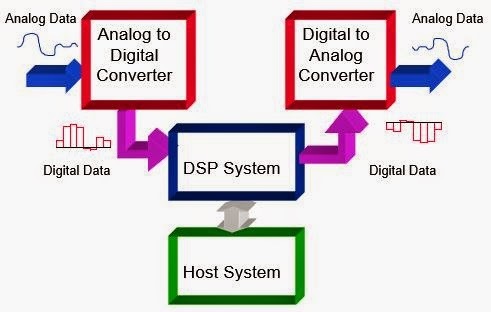 the SigLib DSP library functions) to an Analog to Digital Converter (ADC) or Digital to Analog Converter (DAC). For this blog I will use the IIR filter functions mentioned in the above blog entry. In order to handle the ADC/DAC data input and output (I/O) it is necessary to write an Interrupt Service Routine (ISR) that responds to the interrupt from the ADC/DAC. Any computer with a soundcard can be used to demonstrate this however modern Operating Systems trap interrupts and use drivers to interface to the hardware. In order to demonstrate hardware interrupts it is necessary to write a virtual software interrupt generator using a call back function. I am going to use the free, cross-platform open-source audio I/O library PortAudio to implement the I/O then I will call the callback function that we will use as our ISR. 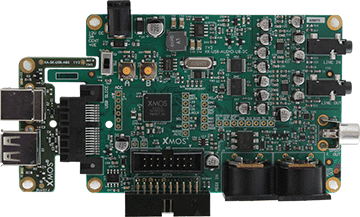 On a typical embedded system it will not be necessary to use PortAudio, just hook your ISR function to the interrupt from your ADC/DAC and it should work in exactly the same way. Here is the header file (analog_io.h.) Note that I have declared the input and output registers as global variables. I know this doesn't conform to any standards for structured programming however these are designed to represent the input and output registers of the ADC and DAC devices. Here is the wrapper code (analog_io.c.) for simulating our ISR using PortAudio. Note the pointer to the ISR is passed to the function analog_open () along with the desired sample rate. Now all we need is the top level program (pa_filter.c) which includes the filter coefficients (generated using Digital Filter Plus http://www.numerix-dsp.com/dfplus/), the main () function to initialize the filters and the analog interface and we need the ISR to call the DSP functions when the interrupt occurs. If you run the code yourself you will hear the difference between the two channels after applying the Low-pass and High-pass filters. Following on from my earlier blog : Let's Do Some Digital Signal Processing (Part 2) - One Pole Filter I thought it was about time that I took a look at Infinite Impulse Response (IIR) filters. IIR filters give much higher performance than Finite Impulse Response filters because they use feedback as well as feedforward in order to implement the filter response. This code shows how to implement an IIR biquad filter structure. The filter implemented in this example is a low-pass filter with 1 kHz cut-off frequency and a sampling rate of 44.1 kHz (CD frequency). This can be observed by modifying the above code to generate a longer impulse response (e.g. 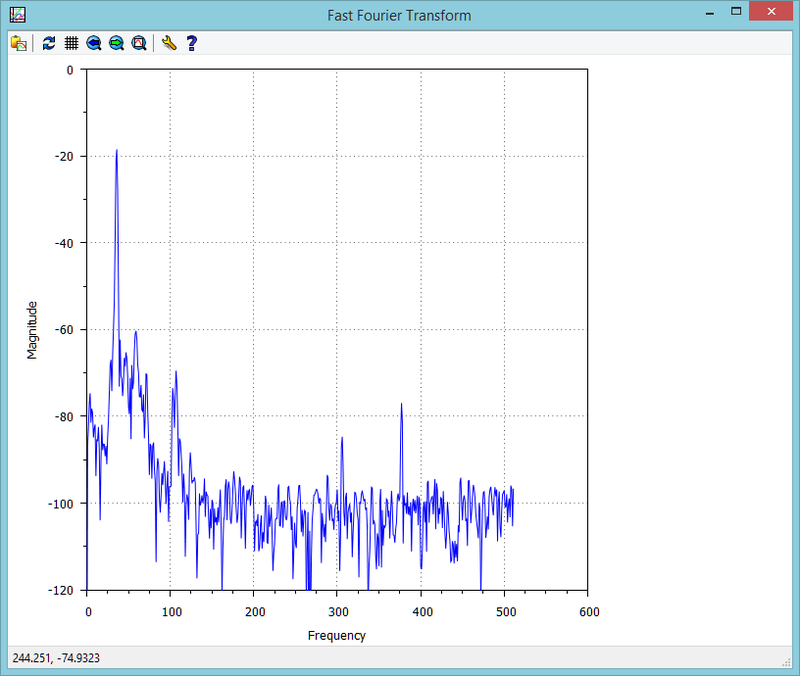 1024) and then passing this data to a Fast Fourier Transform (FFT).